Whenever I visit a new city, I'm constantly amazed that I do not run in to more things. Of course, it helps when the things one might run in to are really big and obvious. 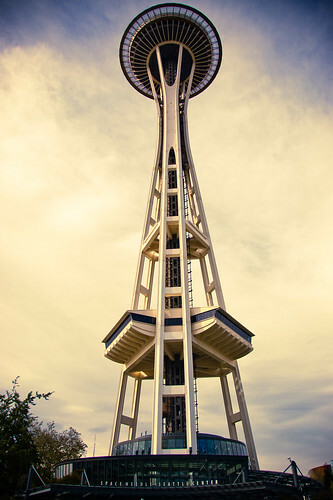 Yeah, the Space Needle is probably the epitome of tourist destination, but then, doesn't that mean that it is something to see if you're just visiting? I've never understood the negative connotation associated with being a tourist and doing tourist type things. Why does it feel like it was two years ago that we were on vacation on the west coast instead of two months ago? I think we hit the ground running when we got back and I'm not sure if we've stopped yet.